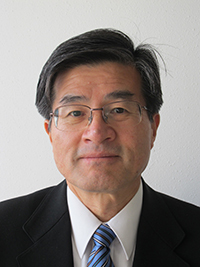 Masaki Kitazume, professor of Department of Civil and Environmental Engineering at Tokyo Institute of Technology Japan, has over 40 years of experience on soil stabilization, ground improvement and foundation engineering. He was involved in many land reclamation and ground improvement projects including Tokyo/Haneda International Airport, Kansai In-ternational Airport and Central Japan International Airport construction projects. He was al-so invited as a technical committee member of several overseas construction projects. He has published many papers, mainly on the geotechnical aspects of soil stabilization, ground im-provement and centrifuge model testing. He also published three books from Balkema Pub-lishers and Taylor & Francis, on Deep Mixing Method, Sand Compaction Pile Method and Pneumatic Flow Mixing Method. He was awarded the Geotechnical Engineering Development award from the Japanese Society of Soil Mechanics and Foundation engineering in 1992, the Minister of Transport Award in 2000, and Continuing International Contribution Awards, Japan Society of Civil Engineers in 2006.